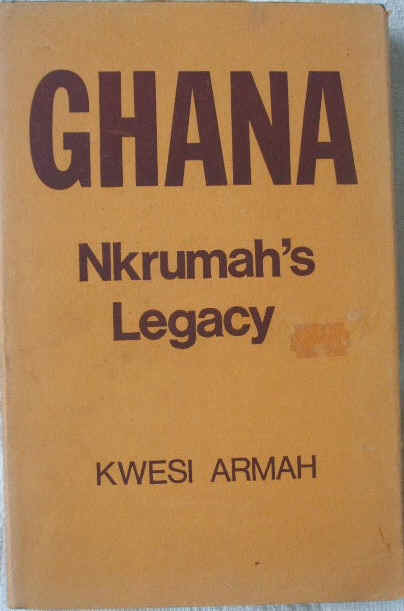 First edition, first print paperback of GHANA : NKRUMAH'S LEGACY, by Kwesi Armah and published by REX COLLINGS, LONDON in 1974.The book is in goodcondition in the original orange stiff-card wrappers over the blackcovers. There is some wear (Three small closed tears, one top corner ofthe spine, one at the top edge of the back and the other bottom cornerof the front and slight rubbing to the corners). There is a smallsticker mark on the front and slight scuffing. 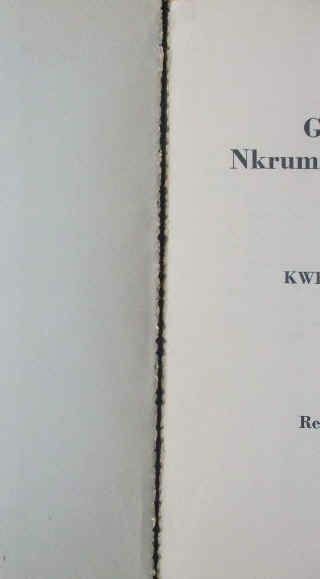 Internally, the pagesare clean and tight, although the first page is starting to come away(see picture below). There are no tears internally and no inscriptions. Ghana Politics and government during 1957-1979 period.